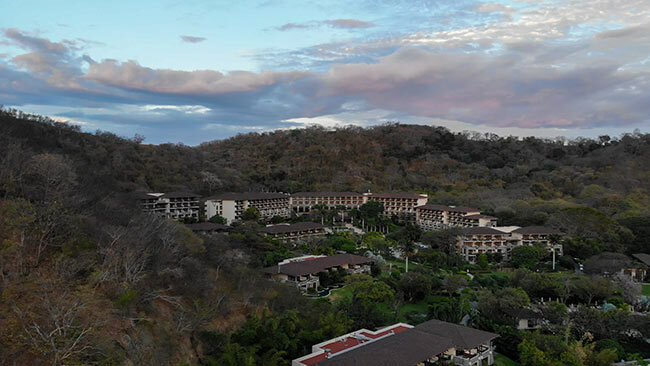 I’ve just returned from a vacation to Costa Rica with the goal of capturing some astrophotography images from the resort. Being so close to the equator, the night sky featured many new southern hemisphere deep sky targets I had never seen before. Aside from astrophotography (including an impromptu Facebook Live stream from our balcony) my wife and I also enjoyed a private birding tour and some much needed relaxation. The average temperature from home in Canada was around -10 degrees Celsius, in Costa Rica, 33. Despite the pleasant temperatures and impressive number of clear nights during our trip, it took some creativity and persistence to accomplish my astrophotography goals from this location. All-inclusive resorts never sleep, which means that the lights never go out. In this post, I’ll share my experiences photographing the night sky from Guanacaste, Costa Rica. For a fun overview of my experience, and some of the raw emotions this trip included, please watch the video. Astrophotography from Costa Rica (On our honeymoon). 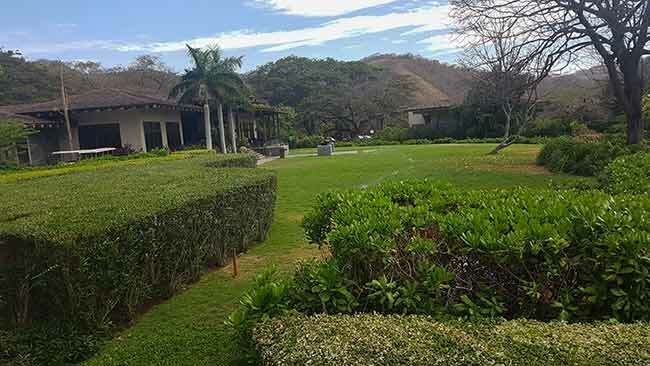 The resort we stayed at was Dreams Las Mareas, located in the northwestern peninsula of Guanacaste. The closest city is La Cruz, which is very close to the Nicaraguan border. While other focused on the all-you-can eat buffet, piña colada’s and catamaran tours, I couldn’t help staring up at an entirely different looking night sky. Attempting to take deep sky images through a telescope from a vacation resort in a foreign country has its challenges. As you will soon find out, those uncontrollable variables began to add up. The location of our resort in Costa Rica. The first and most obvious looking change was just how high the Orion constellation was. How fortunate for those that live at this latitude to photograph the Orion Nebula near the zenith! Below Sirius, in Orion, I saw the bright star Canopus for the first time. This star belongs to the southern constellation, Carina, which is non existent in mid Northern latitude skies. In fact, there are numerous southern hemisphere constellations and deep sky objects observable from Costa Rica. I thought a trip to Australia would be necessary to see many of these targets. An easy way to get a preview of the night sky from a new location is to download the Stellarium mobile app on your smartphone. 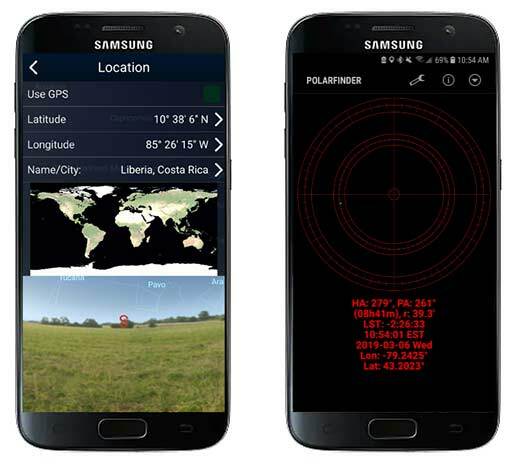 Then, you can either enter in the location manually in the settings, or let the app use your GPS for the exact latitude and longitude of your position on Earth. My android smartphone was set to “airplane” mode during our trip, as I was able to use the resort WiFi for internet access. However, I needed to quickly turn airplane mode off for a GPS signal to get the lat/long coordinates of my location. This may not be necessary depending on your operating system. A GPS signal was also needed for my polar alignment process, to display an accurate position of the north celestial pole on the Polar Finder mobile app. If you are interested in the software and tools I use for astrophotography including astronomy mobile apps, be sure to visit the resources page. The Stellarium and Polar Finder mobile astronomy apps were very handy on my trip. Since I was still in the northern hemisphere, I could theoretically polar align my telescope mount using the North Star, Polaris. The north celestial pole doesn’t land precisely on this star, but it’s a fantastic reference point. The process of polar alignment is much more difficult in the southern hemisphere. I have polar aligned my telescope mount countless times using the north star from home in Canada, but this time, Polaris sat just above the northern horizon. It was far too low to observe from the resort as it was blocked by the surrounding mountainous landscape and the hotel itself. To polar align my portable iOptron SkyGuider pro, I guestimated the exact altitude of the polar axis, and it was nearly level with the horizon. At only 10 degrees north, there was no way I’d be able to spot it. I ran a series of test exposures at 30-seconds in length to improve my rough polar alignment. Luckily the focal length (250mm) of the telescope I brought is more forgiving in terms of tracking accuracy than higher magnification instruments. The RedCat 51 is also extremely lightweight and portable, which makes it a superb choice for wide field deep sky imaging while traveling. 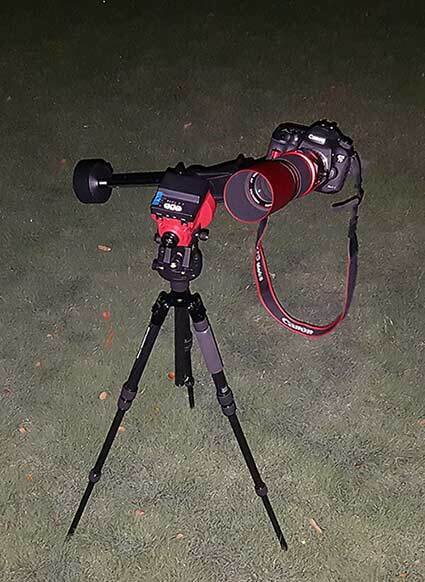 My DSLR astrophotography setup including a telescope and tracking mount. I packed all of the astrophotography equipment needed for wide field deep sky imaging in my carry-on bag on to the airplane. This included the telescope, camera, mount, tripod, filter, and adapters. This “deep sky travel kit” included a capable equatorial telescope mount, the iOptron SkyGuider pro. The EQ head of the mount was easily packed into my bag, along with the wedge and collapsible carbon fiber tripod. This camera mount matches the apparent rotation of the night sky using a right ascension tracking motor. The telescope is a William Optics RedCat 51 refractor. The RedCat weighs just 3.2 lbs, and can easily be mounted to a lightweight astro tracker for long exposure imaging. Inside of the RedCat, sits a 2-inch Optolong L-Pro filter that I’ve pre-threaded into the M48 adapter of the telescope. This proved to be a great way to record images in broadband true color while reducing the immediate light pollution from the resort. The camera is a stock Canon EOS 7D Mark II. When I say “stock”, I mean that this DSLR has not been modified for astrophotography by removing the internal IR cut filter. The camera threads on the RedCat 51 via a dedicated Canon EOS t-ring adapter. The astrophotography gear used for my shot of the Carina Nebula. Due to factors such as lack of a precise polar alignment, and setting up in a high traffic area, I decided to shoot 30-second exposures at ISO 6400. This way, I could at least complete a number of successful images rather than having to discard many of them in the pre-processing stage. The constant wave of wind gusts made keeping my camera and telescope ultra-steady during an exposure very difficult. The limited exposure lengths helped to reduce this effect. The location of our resort meant that there was very little light pollution in the direction of the nearby Atlantic Ocean. However, this resort chooses to shoot high intensity spotlights toward the night sky during their nightly shows. There was an unfortunate amount of localized light pollution from the many lighting fixtures that stay on all night long. The mild light pollution filter inside of the telescope adapter helped to reduce this unnatural glow. I generally like to see all of the lights go out at night, but the lighted pathways on the resort came in handy when navigating to my deep sky imaging location near the front lobby. 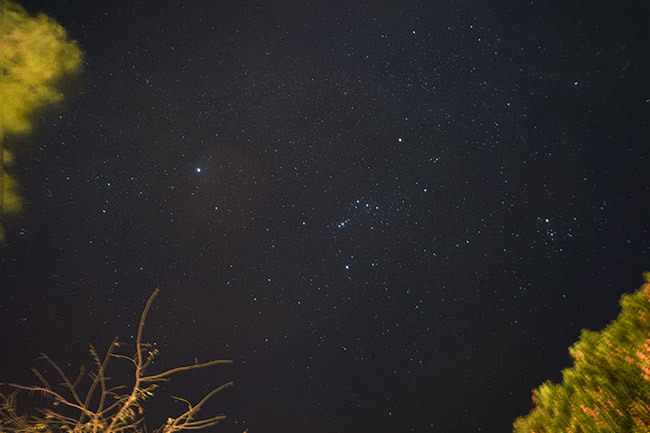 As an experiment, I took a photo looking towards the constellation Orion from the pathway near our room. As you can see, there is a lot of light coming from all angles. I decided to stay on the resort to run the camera and telescope. The beach was a better spot in terms of darkness, but it was just too risky to leave the security of the resort at night in a foreign country. The wind was also much stronger and unpredictable by the water, and I had enough to worry about already. I did, however, sneak down to the beach one night to take some wide angle tripod shots of the night sky. Unfortunately, the timing of this idea was off, as my photos were spoiled due to rare clouds at night. 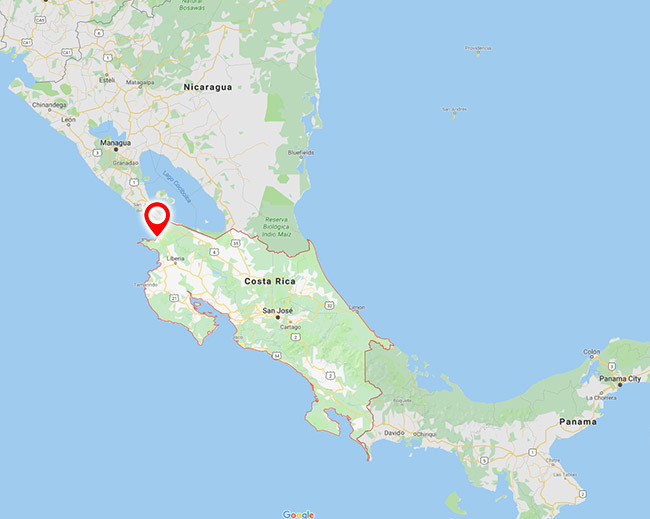 The Location of my Deep Sky Astrophotography Session from Costa Rica. Shooting from the balcony of our room would have been ideal, but the window of sky was limited to the west. I did attempt to photograph a deep sky object from the balcony through the telescope, but it was more of an experiment than anything else. There was a large open area of grass outside of the main lobby of the resort, and the security staff by the front entrance gave me some peace of mind. This is where I planted the tripod and iOptron SkyGuider pro with my telescope attached. I kept the tripod very low to the ground for added stability during strong winds. Coming from a northern hemisphere sky with the usual constellations and deep sky objects, how could I not attempt the Carina Nebula from Costa Rica? This is a “bucket list” target for me, and one I didn’t imagine capturing without a trip to Australia. 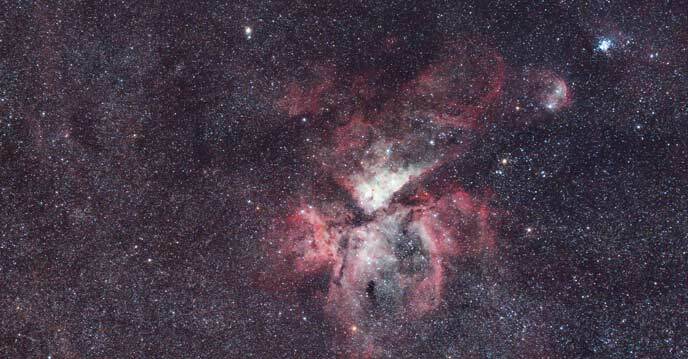 The Carina Nebula (also known as the Eta Carinae Nebula) is a magnitude 1 deep sky object, so 30-second exposures were enough to reveal much of this complex and large nebula. This emission nebula is cataloged as NGC 3372, and includes multiple objects within it. See this annotated image for a closer look at the many deep sky objects found inside of the Great Nebula in Carina. 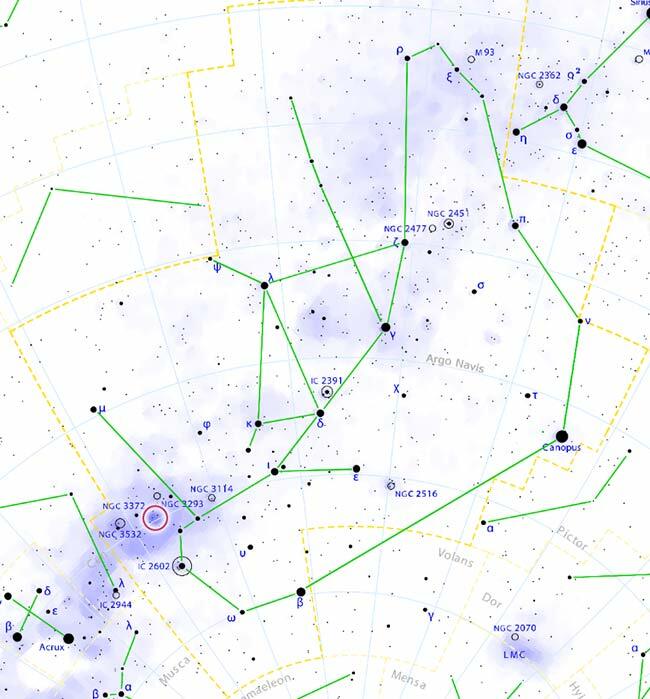 Star map showing the location of the Carina Nebula (Universe Today). The Carina Nebula does not reach a high altitude in the sky from northern Costa Rica, which meant I needed a low view to the horizon to capture it. The Carina Nebula just barely cleared the treeline from our resort at 10pm. As it turned out, one of the biggest obstacles I had to overcome was wind. The wind gusts were as strong as 40km an hour at times, completely ruining the current exposure being captured on my portable rig. This element was particularly painful to experience, as it can occur when absolutely every other measure of success has been taken. To compensate for wind, I used my body to block the telescope from the direction the wind was blowing from. Also, I was limited to 30-second exposures, as this offered the best chance of completing a frame without interruption. My final image of the Carina Nebula includes just over 9-minutes of total exposure time. The following image consists of 18 x 30-second images at ISO 6400. Once I registered and stacked the sub frames in DeepSkyStacker, I had a total overall integration time of 9 minutes, and 30 seconds. Processing the stacked integration in Photoshop was an exciting experience, and I took my time. The individual 30-second light frames were very noisy, which was to be expected when shooting on a hot night using an ISO of 6400. The stacking process helped improve the signal to noise ratio a great deal. However, the noise reduction actions in post processing seem to have softened the image up significantly. 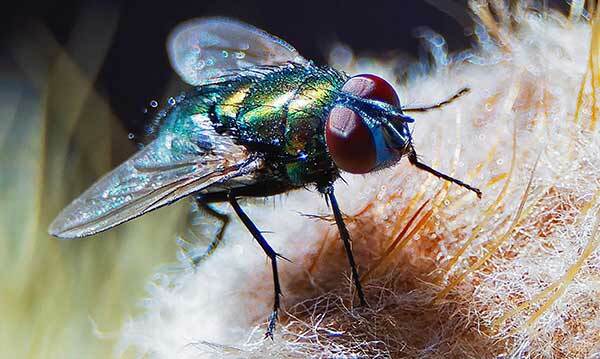 In these situations, it’s a fine balance between noise and overall sharpness. I really enjoyed processing this image, and loaded it into nova.astronomy.net to be annotated. As you can see, my photo includes NGC 3293, NGC 3324 in the frame as well. This website is a great way to annotate your own astrophotography images online). A drone shot of our resort from the beach. I would have loved to capture more data on the Carina Nebula, and attempted to capture images of more southern targets like the Centaurus A galaxy. However, I left my new bride in the hotel room during these ventures, and she was very patient and understanding to give me the time I had. 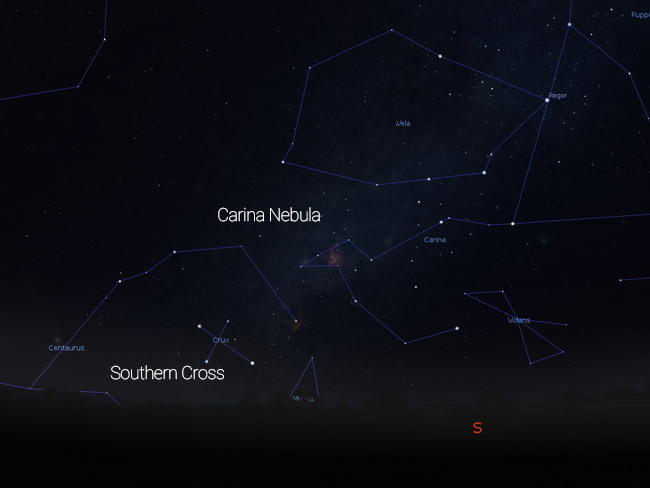 I witnessed the Southern Cross, Carina, Canopus, and much further into the southern night sky than ever before. 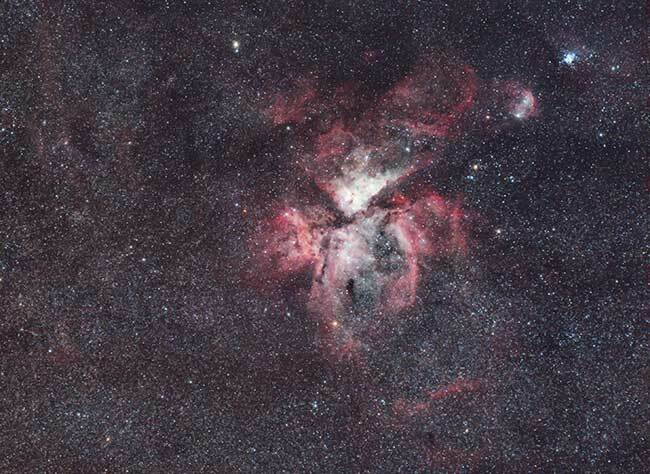 I could hear the white-faced monkeys in the forest as my camera collected each exposure on the Carina Nebula. I stood alone in a field of grass in the dark while the rest of the guests slept or tied one on at the bar. Deep sky astrophotography from Costa Rica in early March presents the best of two hemispheres, from Orion to the Carina Nebula. If you are planning on travelling to Costa Rica in the future, I highly suggest that you don’t forget to pack your telescope. 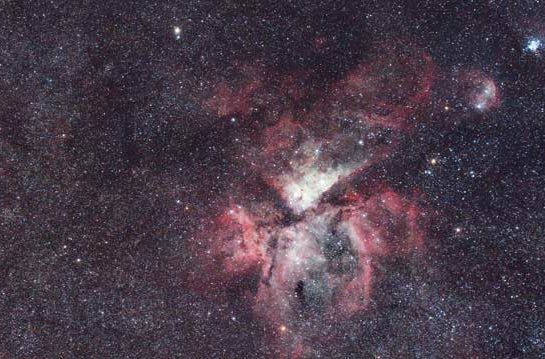 View a high resolution version of my Carina Nebula image on Flickr or Astrobin. William Optics is a company known for creating high performance apochromatic refractors, and constantly updating and refining their designs. The RedCat 51 Petzval APO is the latest creation from the company that can’t sit still, and it is bound to shake up the industry once more. I am fortunate enough to have been granted early access to this exciting Petzval apochromat that debuts in early March 2019. What makes the William Optics Redcat 51 so special? The 4-element Petzval design, unique focal length and helical focuser. The sleek red finish of the RedCat 51 signals its individuality and charm. It is unlike any other astrophotography telescope on the market, and one that I have been waiting to get my hands on since reviewing the early concept designs last year. While shooting the unboxing video for the RedCat, I came to the conclusion that this is hands down the most beautiful looking telescope I have ever seen in terms of style and design. This is a signature quality of the William Optics brand and they continue to push the envelope with new and dramatic concepts. The design goals for the RedCat included creating an affordable refractor that uses the highest quality glass, and delivers a flat imaging field with unmatched color correction. In this post, I’ll break down the specifications of the RedCat and explain why I think this little quadruplet will be one of the most sought after products in 2019. Have you ever seen a more dramatic video for an astronomy product in your life? 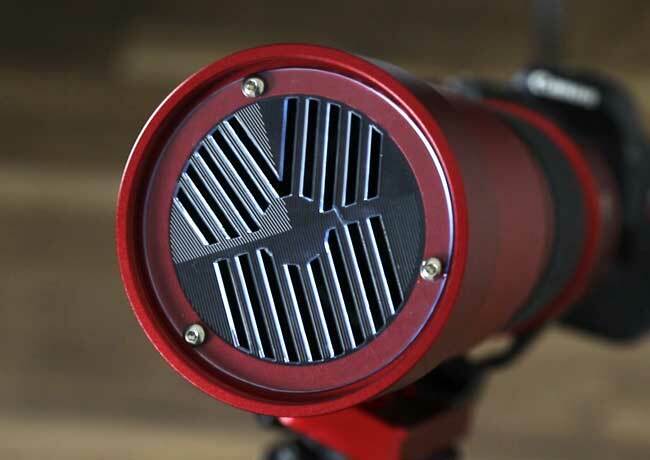 The RedCat bridges the gap between an astrophotography telescope and a telephoto lens. 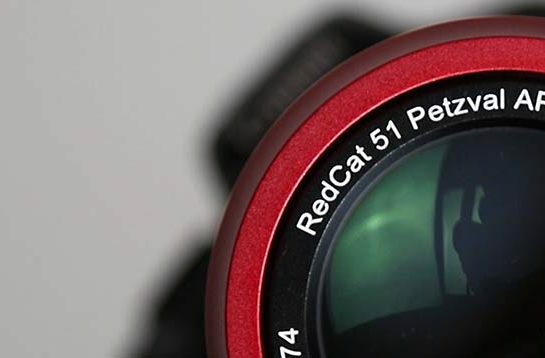 The 250mm focal length and F/4.9 focal ratio mean that the RedCat can be enjoyed as much by wildlife photographers as it is by amateur astrophotographers. The helical focuser makes focusing a fast-moving targets such as birds much easier than ever before. For those of you that don’t know, I am also an avid bird photographer. Once I discovered the clarity and sharpness provided by a apochromatic refractor telescope, I began using my astrophotography telescopes for bird photography. These telescopes were too heavy to use handheld, and were challenging to focus on moving subjects. 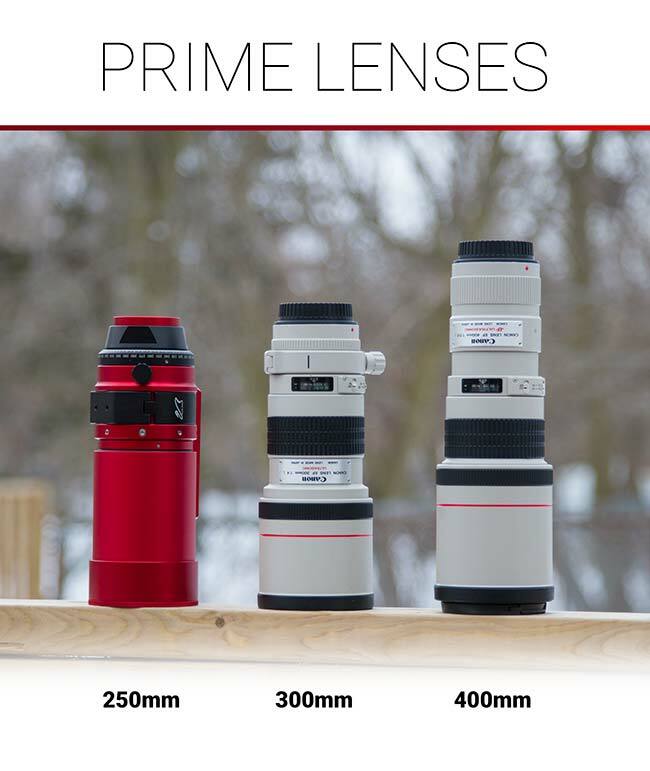 Roughly 8 years later, William Optics releases a high-end apochromatic refractor that targets the wildlife photography market. The RedCat encapsulates two of my greatest passions (astrophotography and bird photography) in a single product. The RedCat 51 is small, beautifully designed, and versatile. The early astrophotography image examples shared by William Optics are breathtaking. Aside from looking good, and some promising looking results in terms of performance, the RedCat 51 has some handy features to improve the user experience. Before I cover items such as the filter slot and modular mounting options, let’s dive into the core specifications of the RedCat 51. The RedCat 51 mounted to an iOptron SkyGuider Pro. First off, the RedCat 51 has a focal length of 250mm. What does this mean for astrophotography? It means extremely wide-field deep sky images. If you consider a 480mm refractor to be a wide-field ‘scope, the RedCat is nearly twice as wide! Massive deep sky objects such as the Carina Nebula will fit into the image frame in their entirety. Large nebulae that traditionally fill the frame in a typical wide field setup are captured with plenty of surrounding space and additional star clusters and nebulae in the frame. 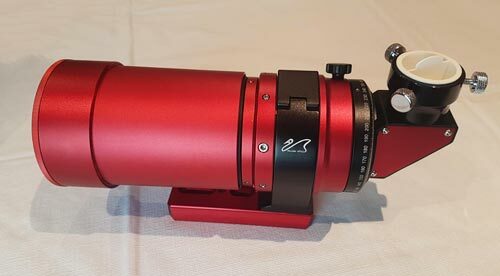 Until the RedCat came along, 250mm was a focal length reserved for those that employ a prime camera lens for astrophotography. 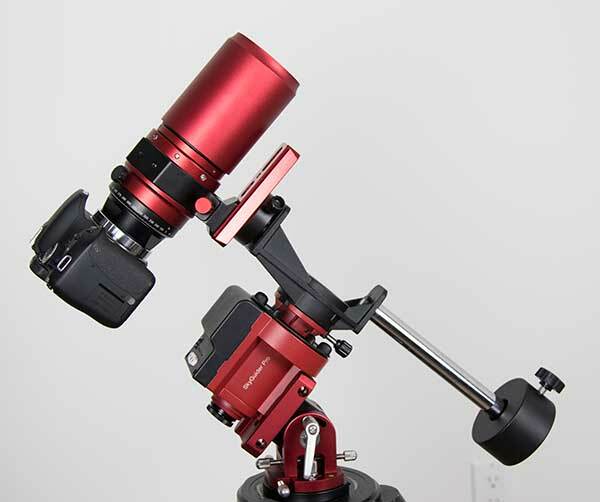 Now amateur astrophotographers have the option of using a flat-field APO that easily mounts to their existing equatorial mount for deep sky imaging at this magnification range. For wildlife photography, this focal length is also quite useful, especially when you consider the all-important f-ratio of this lens. 250mm is enough reach for many larger birds such as hawks and owls, but will require a steady hand and gimbal head for the best chance of a sharp shot. For nature and wildlife photography, the RedCat 51 has a minimum focus distance of 3.7 meters. This can be improved to under 3 meters with the use of the 2″ extension nose piece from the diagonal. By adding even more extension tubes, the RedCat can even be used for macro photography of small insects. 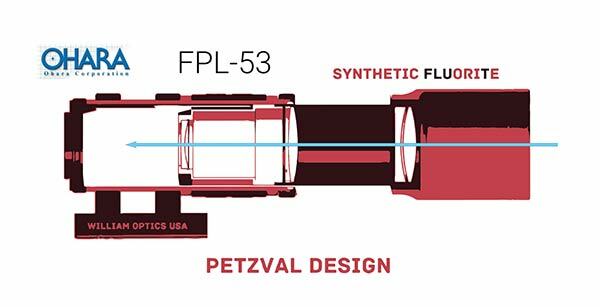 The FPL-53 Objective lens of the RedCat 51 Petzval APO. When it comes to photography (of filming) birds, it’s all about light. Fast shutter speeds are required to capture a bird in motion, and this demands a fast lens to adequately expose the shot. 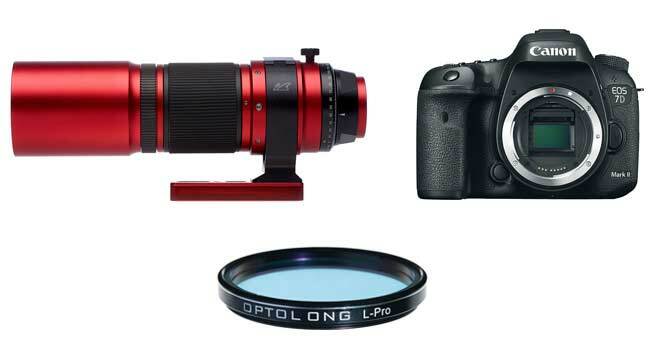 F/4.9 isn’t incredibly fast in the world of camera lenses, but when you consider that this is essentially a refractor telescope – it’s about as much light gathering power as you’ll find on the market. For comparison, the RedCat is almost a stop faster than the extremely popular Canon EF 400mm F/5.6L lens. William Optics has released some incredible wildlife footage shot using the RedCat, a testament to this quality. Low light situations such as a cloudy day, made wildlife photography tough with my old F/6 William Optics Z72. The speedy RedCat is a completely different animal. 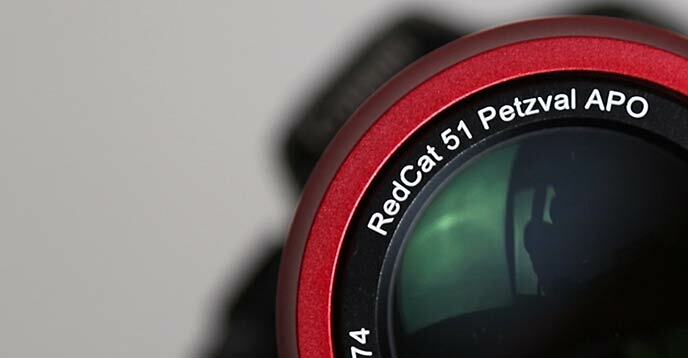 As the name eludes to, the RedCat has a 51mm objective lens. 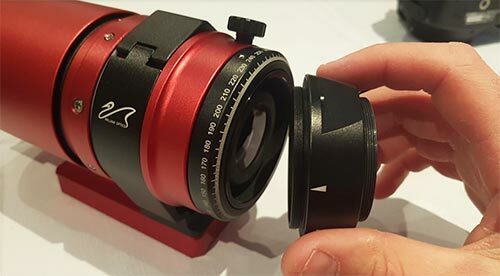 In the world of astrophotography telescopes, this is absolutely tiny! If you thought the adorable little Zenithstar 61 was cute, wait until you see the RedCat. But this kitten has claws (I couldn’t resist). 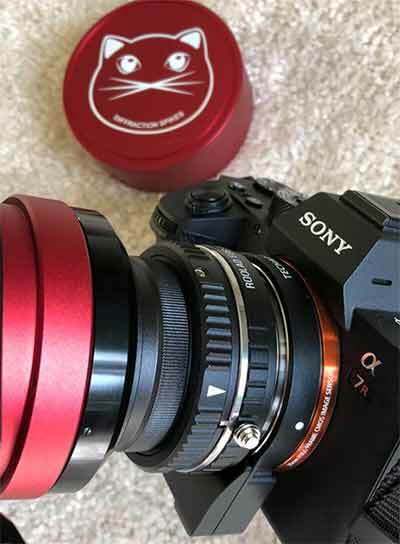 The 51mm objective lens on the RedCat is made from top quality FPL-53 and FPL-51 glass (synthetic fluorite) which creates a flat frame image from corner to corner, even when utilizing the entire image circle with a full frame camera. The small size of the RedCat means keeping overall weight to a minimum, despite the extra glass. The RedCat 51 weighs only 3.2 pounds even through the design requires 4 elements in 3 groups. 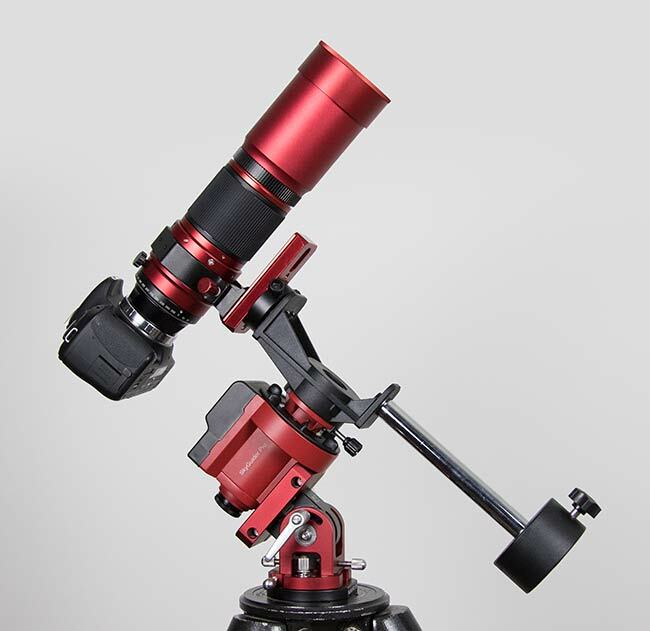 For owners looking for a high-end telescope to mount on the iOptron SkyGuider Pro, the RedCat is an ideal candidate. A Petzval lens design involves a low-dispersion doublet in combination with two elements farther down the optical path to both speed up the f-ratio of the telescope, and flatten the image field. There is no need to use a field flattener with the RedCat, adding to its simplicity and practicality in the field. The Petzval quadruplet lens design is well corrected, and incredibly sharp. You can expect pinpoint stars to edges of your image. 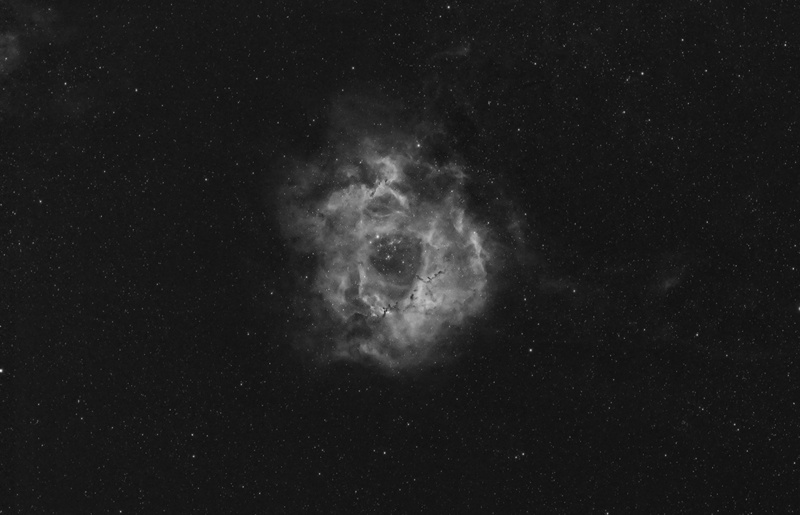 If you don’t believe me, have a look at this image of the Witch Head Nebula taken using the RedCat 51 by Mehmet Ergün. These traits will surely make the RedCat a popular choice for high resolution deep sky astrophotography imaging. Portability and design aside, the RedCat is an affordable option for those looking to own a top-of-the-line astrophotography telescope. A comparable refractor on a much larger scale is the Takahashi FSQ106. Example images taken using the William Optics RedCat 51 on Flickr. In mid February 2019, Wei-Hao Wang shared an incredible image of the Running Chicken Nebula using the RedCat 51 with a modified Nikon D800 on Astrobin. The full size image really showcases the color correction and flat-field qualities of the optics. I had a chance to test the RedCat 51 on the night of the full moon. This is not an ideal time to capture deep sky objects in boradband true color, so I used an Optolong 7nm Ha filter inside of the RedCat. The image below was captured using a modified Canon EOS Rebel T3i (600D) through the RedCat 51 APO. I stacked 33 sub exposures of 4-minutes @ ISO 1600 each to create a total integrated exposure of 2 hours and 12 minutes. The 4-minute sub exposures were accomplished thanks to the accurate tracking of the iOptron SkyGuider Pro. Yes, a helical focuser! This design aspect is completely changes the user experience of the RedCat, whether you use it to photograph the night sky, or a Black-crowned night heron. I have used a number of apochromatic refractors for daytime photography in the past, but none of them felt natural because of the of rack and pinion focuser. Aside from the impressive lens design, the helical focuser is the single biggest differentiating factor between the RedCat and a typical imaging APO. The focuser draw tube is calibrated and features printed mm spacing marks for precise adjustments. The black textured focuser ring is made out of soft rubber for a comfortable grip. Adjusting focus during frantic wildlife photography moments is now much more fluid and responsive, while the precision and rigidity needed for deep sky astrophotography is retained. The focuser tension ring allows you to precisely control the level of friction desired, and also can also lock the tube in place when needed. The field rotator resembles the face of a luxury brand watch, which is exactly the inspiration William Optics used when designing the rotator markings on the RedCat. Every degree of the field rotator is marked to help aid in the process of creating a mosaic. There is a small white arrow on the M48 adapter to use as a reference point when setting your camera orientation. This level of attention to detail is noteworthy, as this subtle feature indicates input from actual amateur astrophotographer needs. You’ll find that many of the hidden “extras” on the RedCat 51 follow this mindset as well, including the small white teflon rings inside of the mounting ring. This small, yet thoughtful detail allows the user to smoothly rotate your imaging train. The field rotator includes markings for each each degree of rotation. The M48 thread adapter allows you to fasten your DSLR or dedicated astronomy camera to the RedCat for astrophotography or daytime photography. The imaging circle completely covers a full frame camera sensor for edge to edge illumination with a flat-field. Speaking of covering your camera sensor, the M48 adapter includes an internal thread for 48mm (2-inch) threaded filters. This is a convenient location to place your favorite light pollution or narrowband astrophotography filter. Owners of Canon, Nikon, Sony or Pentax cameras will be happy to know that their camera bodies are a perfect fit for the RedCat with the necessary t-mount and adapter hardware. The M48 end adapter must be removed to apply the matching red William Optics erecting diagonal. The base of the RedCat 51 was specially designed to avoid adding extra weight to the telescope, yet provides a reliable platform for the the demanding positions of astronomical imaging. The matching red low profile dovetail bar can be used with either a standard Vixen mount saddle, or the photography based Arca-Swiss style mounting bracket. The dovetail plate includes standard ¼ inch threads, and simply needs to be flipped over to accommodate your desired mounting configuration. Deciding on the configuration of this aspect of the telescope will depend on your primary use of the RedCat. 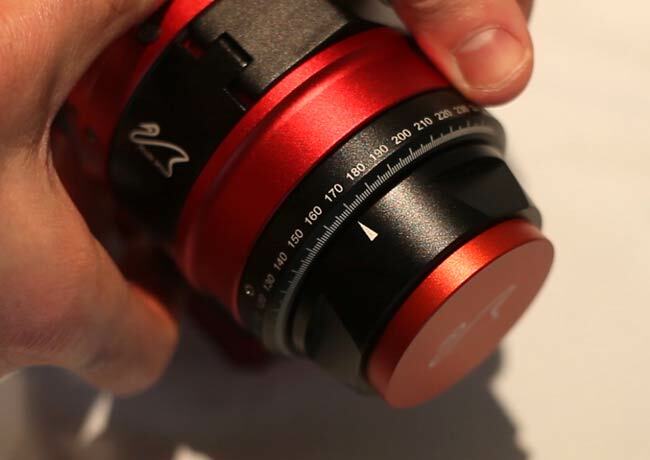 The optical tube itself can also rotate easily thanks to the lens collar and release knob. This is similar to the design you’ll find on high end telephoto camera lenses, but with 2 extras.There are modular mounting options on the lens collar. Here, you can fasten accessories such as a shotgun microphone or red dot finder scope. To top things off, William Optics has included their signature diffraction spikes Bahtinov mask in the lens cap. This feature is handy for DSLR astrophotography imaging sessions when you need to quickly and accurately confirm the focus of your target. You simply need to aim the telescope towards a bright star to create the diffraction spike pattern. The elongated star patterns displayed when pointed at a bright star create an obvious and distinct guideline to reference when using adjusting the helical focuser. The clear acrylic design of these masks make them much easier to use than the traditional opaque black Bahtinov masks. You may have also noticed the color matched steel William Optics Vixen style base attached the iOptron SkyGuider Pro. This base mount also fits the Sky-Watcher Star Adventurer, and adds some serious stability to and improved aesthetics over the original base. The package also includes a 4.5″ red extension bar for the counterweight, that I regretfully forgot to install before filming the video. You may be asking yourself if there are alternatives to the RedCat to consider, with a comparable optical design and size. Although the Vixen FL55 does not share a Petzval design, it is an ultra-wide field fluorite refactor with a 55mm lens diameter. The focal length of the Vixen FL55 is 239mm, with a focal ratio of F/4.3 (with the optional reducer used). The Vixen model does not include a carry case, Bahtinov mask in the price, and requires an additional reducer for maximum usefulness. The Takahashi FS-60 CB is also a direct competitor of the RedCat, although its design mirrors the WO Z61 more so than the RedCat 51. This is another compact fluorite refractor, and features a focal length of 335mm, at F/5.9. The Takahashi name carries with it a premium price. 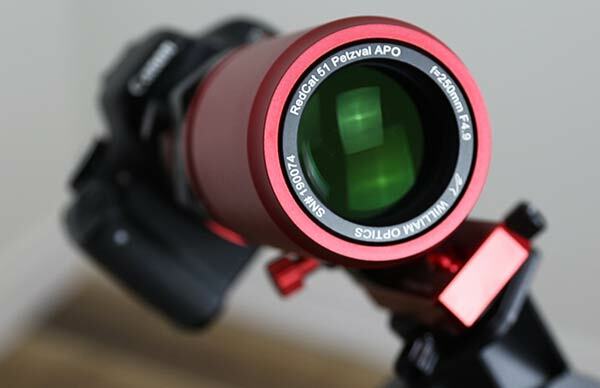 This optical performance of this 60mm refractor is indeed impressive, yet it does not have the unique features of design of the RedCat in a complete package. RedCat 51 Alternatives, the Vixen FL55 and Takahashi FS-60CB. When I mentioned that the RedCat 51 can be used as a daytime wildlife photography lens, you may have wondered whether the RedCat will work with the autofocus function of your DSLR. I have some good news. Yes, the RedCat 51 can be used with autofocus! But there is a catch (two actually). You will need to use the TechArt Pro adapter that includes a built in motor for manual lenses. This system only works with certain Sony DSLR cameras, which means for Canon or Nikon shooters, you’ll have to make due with manual focusing of the RedCat 51. The system relies on the phase-detect autofocus system found on modern Sony cameras such as the Sony a6300, a6500, A7ii, and A7Rii. The RedCat mounted to a Sony a7R and the TechArt Pro adapter. The package William Optics sent to me included a number of extras, including the Canon EOS T-Mount adapter, and the dedicated erect image diagonal. The diagonal will hold a 1.25″ eyepiece for visual observing, or spotting scope purposes. The Canon EOS T-ring included with the RedCat is the most stylish looking camera adapter I have experienced to date. The diagonal is of little importance to those that will use the RedCat 51 exclusively for deep sky astrophotography, but it is a nice option for those that like the choice of using this telescope for visual use. This is of particular interest to anyone who purchases the RedCat with plans on using the telescope as a spotting scope for wildlife photography. The RedCat can be mounted to a traditional photography tripod for crisp views at 250mm. The dedicated RedCat erect image diagonal fastened to the telescope. To install the dedicated erect image diagonal on the RedCat 51, you need to remove the 48mm adapter. Use a small Allan key (0.7mm) to unscrew the three grub screws just enough so that you can turn the M48 adapter counter-clockwise with the field rotator locked. You should eventually feel the thread release so you can unscrew the adapter. Remove the M48 Adapter on the RedCat to fasten the diagonal or install a 2-inch filter. The diagonal can then be threaded directly to the base of the field rotator for visual observing or spotting scope purposes. The 48mm filter threads are also located between the M48 adapter and the field rotator. This is a discreet location in the imaging train to thread a light pollution filter inside of the RedCat 51. The price tag of the William Optics RedCat 51 may seem a bit steep at first, but considering the pedigree of this refractor, it’s right on the mark. Creating an affordable option for those looking for a premium imaging APO in small package was the overall goal of the RedCat design. I believe the RedCat is poised to have a big year, and look forward to the official unveiling at NEAF. If you have interests in both wildlife photography and deep sky astrophotography as I do, you might feel like the RedCat was designed specifically for you. William Optics is brand that continues to innovate and create original products. In in world full of copycats, this little APO stands in a category of it’s own. This telescope will be available in early March 2019. You can order the William Optics RedCat 51 at High Point Scientific.